Aptly dubbed as the ‘Land of gods’, Himachal Pradesh is a land of numerous pilgrimage centers. 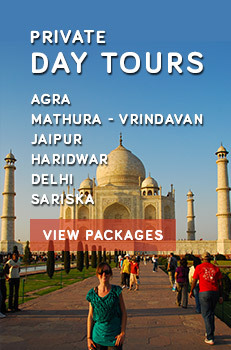 Devotees and tourists come from across the globe to visit the pilgrimage centers. Some of the pilgrimage centers of Himachal Pradesh are roosted amidst breathtaking natural surroundings offering amazing travel experiences. This state has been a home to great sages since time immemorial. The religious centers of the state are not only popular for their religious significance but also for their beautiful and peaceful surroundings. From temples to Buddhist monasteries and Gurudwaras, several religious sites belonging to different religions can be seen here. This state beautifully demonstrates ‘unity in diversity. The architectural beauty of the pilgrimage centers of Himachal Pradesh also reflects the rich heritage of the state. The glorious religious history of the state beautifully manifests in the temples, monasteries and gurudwaras. During the festive season these pilgrimage sites serve as the venues for various cultural activities. 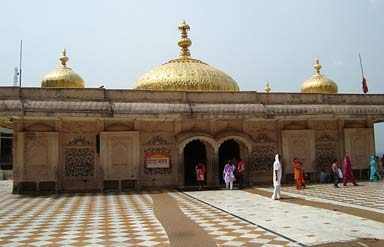 Dedicated to Bhagwati Jwalamukhi, it is a must visit temple as it emits perpetual flames representing the deity. These natural flames are worshipped as the incarnations of the goddess. The temple has a gold plated dome. This beautiful temple is dedicated to Lord Shiva. Reflecting the Nagari style of architecture, the temple enshrines the images of Sun god, goddess Chamunda and Kartikeya( son of Lord Shiva). The entrance of the temple has a life sized stone Nandi, the carrier of Lord Shiva. The lingam enshrined in the sanctum sanctorum is one of the 12 Jyotirlingas in the country. It is a sacred land famous for its hot water springs which are said to possess medicinal and curative properties. It is believed that taking bathing in the springs can cure muscular and bone diseases. This Hindu temple is one of the 51 Shakti Peeths of India. 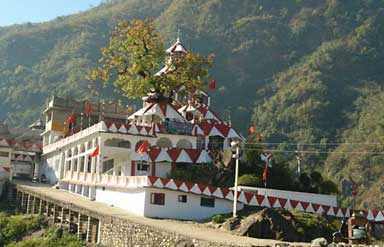 Roosted on a picturesque hillock, the temple is the place where the eyes of Lord Shiva’s consort Sati fell. There is a holy cave near this temple. A colorful fair is held here during Shravan Ashtami every year. Many a devotees come from across the country to this temple to receive the blessings of the goddess Chintipurni. Boasting of sheer architectural beauty, this temple is held in high reverence by the Hindus. It is the oldest and the biggest monastery of Himachal Pradesh, which is a must-visit destination. Located on a hill close to the Spiti River, this monastery was established in the 11th century. It houses a rare collection of ancient murals and books of high aesthetic value. 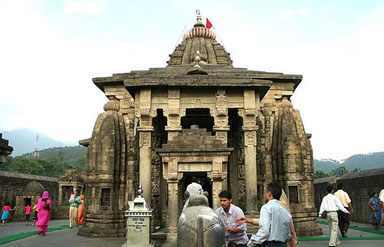 It is a well known temple dedicated to Bhagwati Chamunda. There is a bathing ghat near the temple. The legend goes that in the past goddess Chamunda vanquished the demons Chand and Mund to save the people on earth.